Acer campestre. leaves. commons.wikimedia.org (Accessed 5/2017). 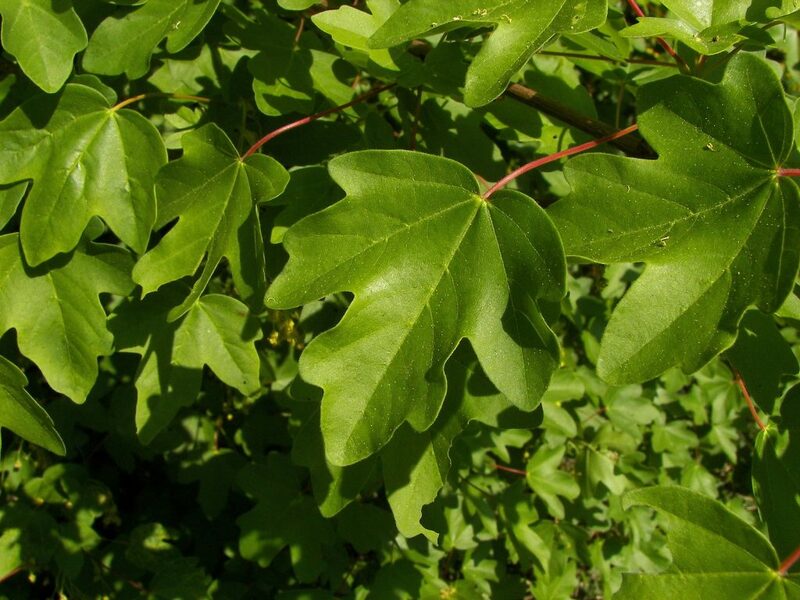 Acer campestre is a small tree to 10 m tall, bark dark lightly ridged and furrowed, (similar to Norway maple). 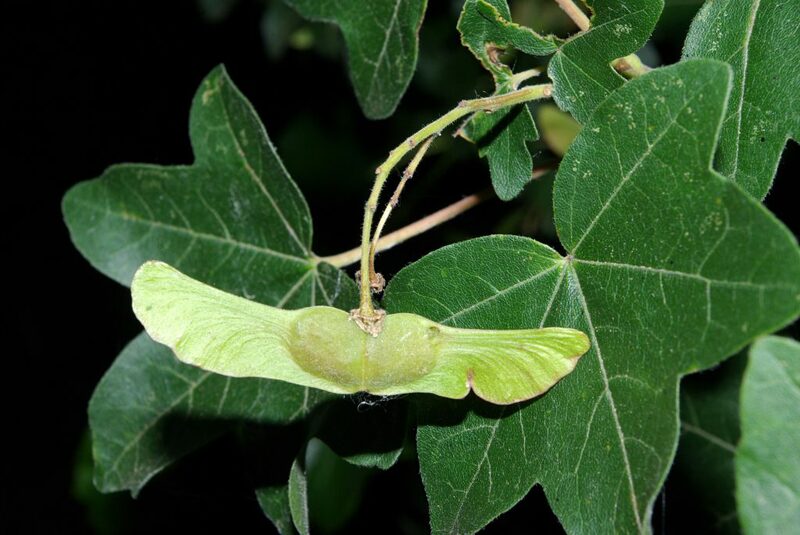 Leaves opposite, petiole 3-9 cm long, sap milky, blade 5-16 cm long, 5-10 cm wide, 3-5 blunt lobes, few blunt teeth, margin wavy, dark green above, finely hairy below. Flowers yellow-green, radially symmetrical, small, inflorescence erect,of branched clusters; blooms May. Acer campestre. fruit. commons.wikimedia.org (Accessed 5/2017). Fruit dry, two winged (samara), about 3 cm long, seeds attached to one another, splitting apart at dispersal. Habitat: Horticultural, escaping into woodland edges near parent tree, tolerates dry, alkaline soil (Dirr, 1990; Greller et al. 1991; Wikipedia 2007).